"Best-in-Class HPC Cloud Solutions for hybrid cloud architecture"
Employing hybrid cloud architecture can help IT departments more easily address both technical and business challenges. The availability of so much functionality and economy in High-Performance computing begs the question—why aren’t more organizations moving their HPC clusters to the cloud? 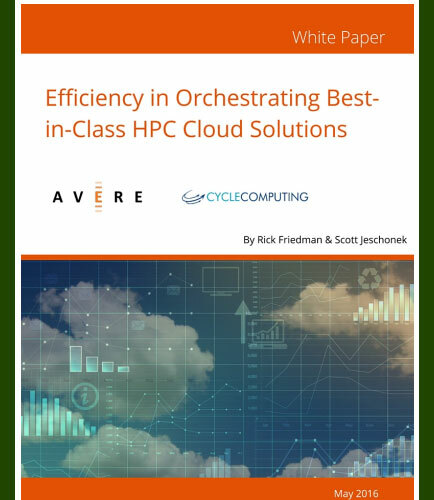 This whitepaper discusses common HPC-environment challenges and outlines solutions that can help IT professionals deliver best-in-class HPC cloud solutions without undue stress and organizational chaos. Cloud hosting is the provision of storing data on servers with multiple connections that can be accessed over the internet. Cloud hosting is cost efficient and guarantees the security of data as many different servers are used rather than a single server or data center. It also offers on-demand scalability and increased accessibility.